next in our kitchen basics series, we're talking about measurement equivalents. have you ever read a recipe that calls for 3 oz. and wondered how many tablespoons or teaspoons that equals? well, i came up with this little chart that breaks it down for you. hope you find it helpful! Good Tip to know. 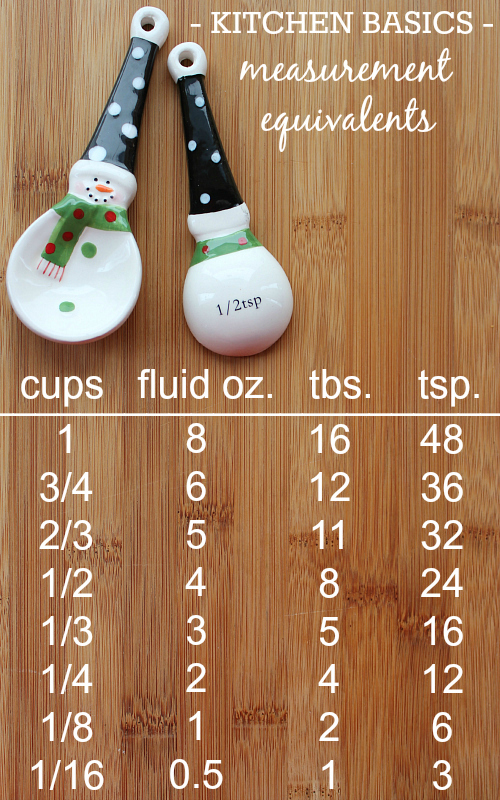 Love the cute snowmen measuring teaspoons. Glad that you use them so much. I will have to find summer ones.